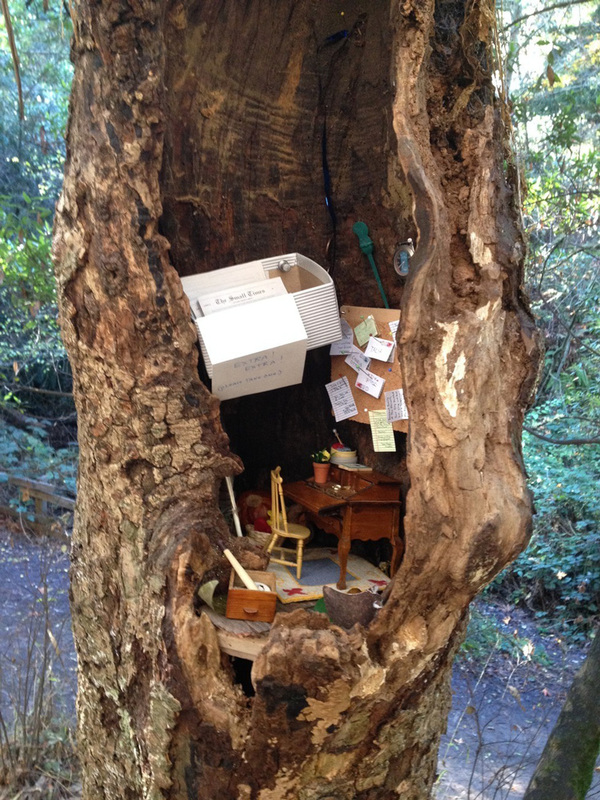 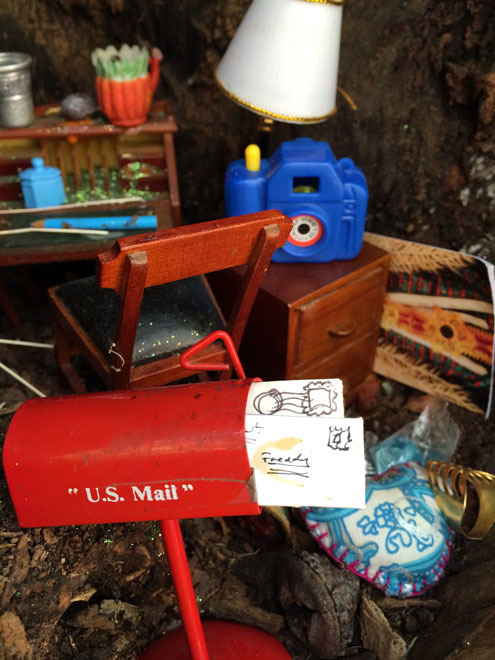 The Fairy Post Office is an unofficial yet functioning post office located in a tree in Tilden Park in Orinda, California. 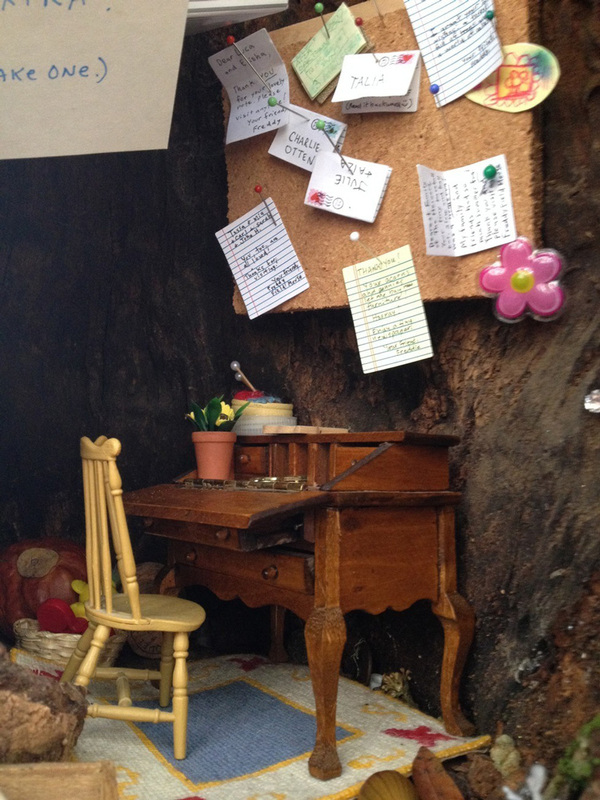 The post office, complete with a tiny bulletin board, desk, and other office furniture, was clandestinely installed by Leafcutter Designs (previously) back in December 2013. 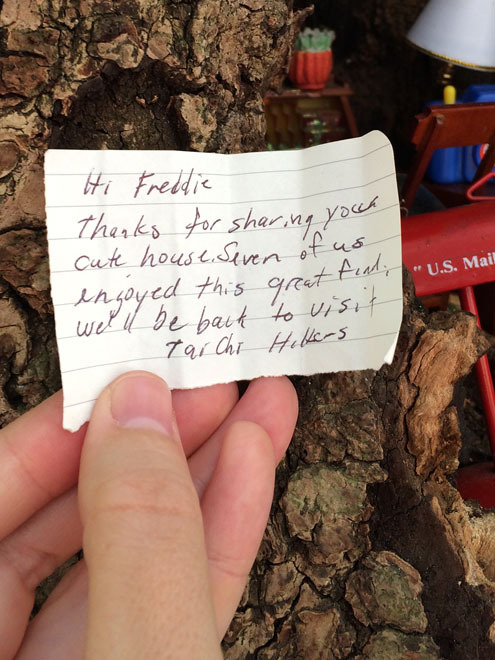 Since its establishment, the post office has become and exchange of sorts where hikers can leave tiny letters and packages for other hikers and “creatures of the forest.” Leafcutter Designs has posted a map of the post office’s location.